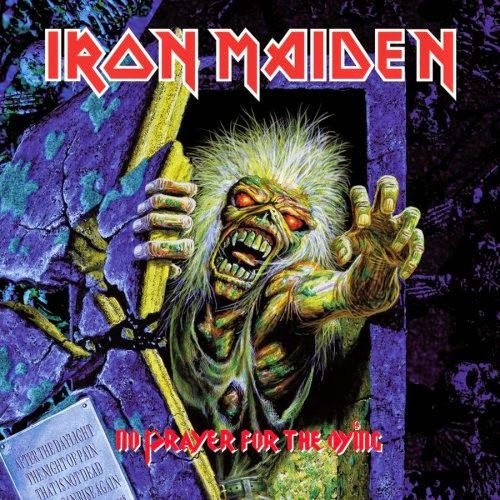 One decade into their career, Iron Maiden release No Prayer For The Dying as their eighth studio album, and it's a poor effort. The dawn of the 1990s breaks with the band firmly stuck in the early eighties, lacking in any new cutting edge, their sound now a mish-mash of recycled elements from days gone by. Guitarist Janick Gers joins the band to replace the departed Adrian Smith, and first two tracks demonstrate plenty of renewed vigour. Tail Gunner and Holy Smoke are both traditional high-tempo Maiden cuts, delivered with energy full of promise. The rest of the album singularly fails to deliver. The other eight tracks are high on repetition, low on innovation, and mostly just go through the motions with a notable absence of spirit. Hooks In You is the worst of the bunch, while Bring Your Daughter...To The Slaughter somehow earned the distinction of being Maiden's first (and so far only) number one single on the UK charts, a boost of encouragement that the band did not need. Written by Bruce Dickinson as a solo effort for A Nightmare on Elm Street 5: The Dream Child horror film, the band adopted Bring Your Daughter... as a Maiden song. Commercially brilliant, artistically suspect. The album ends with Mother Russia, a plodding retread of cobbled together old glories that would have sounded fresh seven years prior. No Prayer For The Dying is a creative dead zone that no amount of praying can help. Produced, Engineered and Mixed by Martin Birch.